Puppies are planned for 2019! We are taking applications for the upcoming litters. Please complete our application form and we will contact you with availability. We are proud of all of the achievements our dogs have earned over the years. We appreciate the opportunity to showcase most of these achievements. This is a tribute to the dogs that touched us deeply and made a large impact on our lives and breeding program. Welcome to our site that showcases our very special dogs and puppies. 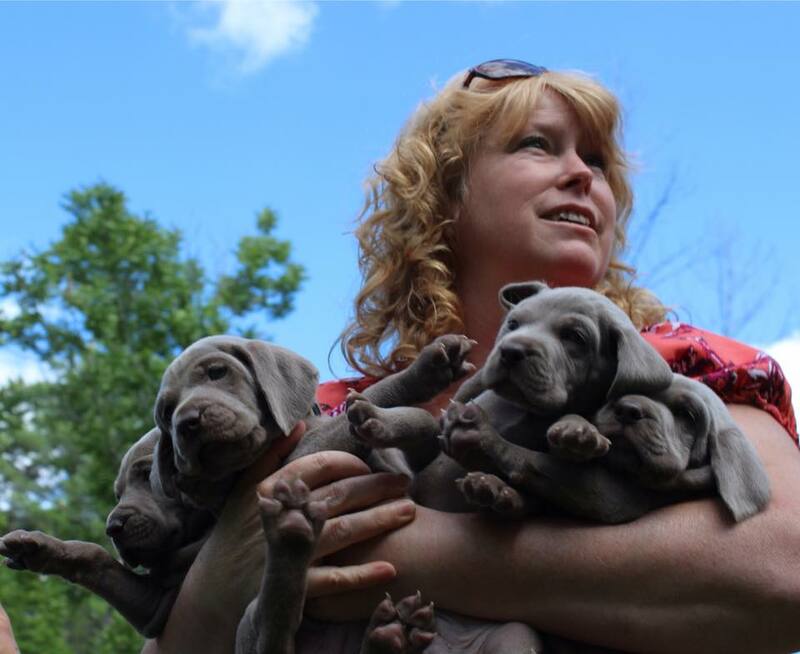 We have over 25 years of experience with owning and breeding Weimaraners and have owned/bred some of the top Weimaraners in multiple countries. Please contact us if you would like to discuss any aspect of our dog ownership and breeding program. As our puppies are precious to us, we need to learn about what you expect in a puppy and how the puppy will share your life. By completing our application form, we can learn more about you and ensure that one of our puppies is a proper fit for you.